© 2019 FOX 15 ABILENE. All Rights Reserved. A five-year-old child was airlifted to Cook's Children's Hospital following the rollover. EARLY, Texas — The Early Police Department has charged a driver with driving while intoxicated after a rollover crash Tuesday evening. A child was airlifted to a Fort Worth hospital following the crash. According to a release from the EPD, at 7:40 p.m. Tuesday Early Police and Fire and Lifeguard EMS responded to a reported single-vehicle rollover in the 1600 block of Early Boulevard. A white 2002 Dodge Ram pickup truck had failed to veer to the right where the highway divides, at which time it lost control and rolled two times, according to the EPD. The roadway was closed for approximately 30 minutes because of the rollover and the need to land the helicopter on the roadway. The pickup truck driver, Kimberly Netherly, and her five-year-old daughter were the occupants of the vehicle. The child was not restrained and was ejected from the vehicle during the rollover. The child was transported to Cook's Children’s Hospital in Fort Worth by Air Evac helicopter. Netherly was not injured. The release said Officer Kelly Marsh could smell a strong odor of alcohol on the Netherly and believed her to be intoxicated because of her actions and statements. Netherly stated she believed it was 7:40 a.m. and that she was taking her daughter to school. Netherly was given a field sobriety test, which she failed, according to the EPD. Marsh applied for a blood search warrant, which was signed by Judge Sam Moss. Netherly was taken to Brownwood Regional Medical Center's Emergency Room, where a blood sample was taken that will be submitted to a Texas Department of Public Safety lab for analysis. Netherly was then arrested and taken to the Brown County Jail. 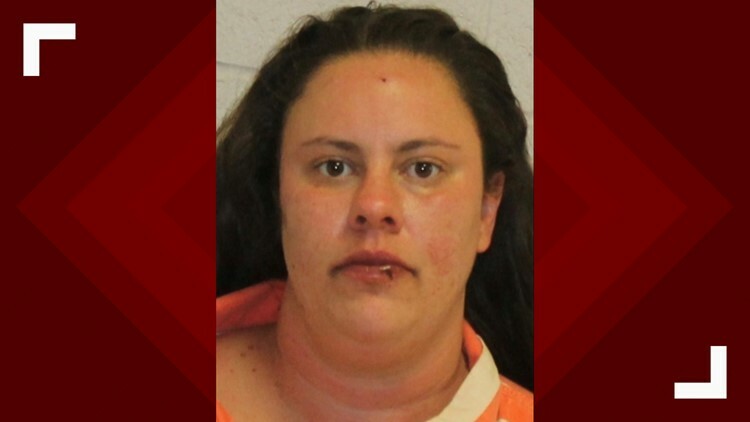 She was charged with driving while intoxicated with a child passenger under 15 years of age; driving while license invalid; fail to maintain financial responsibility; and unrestrained child in a vehicle. The child’s condition was unknown at the time of the release, but the release said she did sustain serious injuries. The Brown County Sheriff’s Office assisted with traffic and closing the highway while DPS troopers assisted with the investigation.